Come for the whiskey, stay for new friends and, if you're lucky, new clients. That's what attendees of this year's edition of Whisky Live, the biggest international whisky event in the world, got and more. 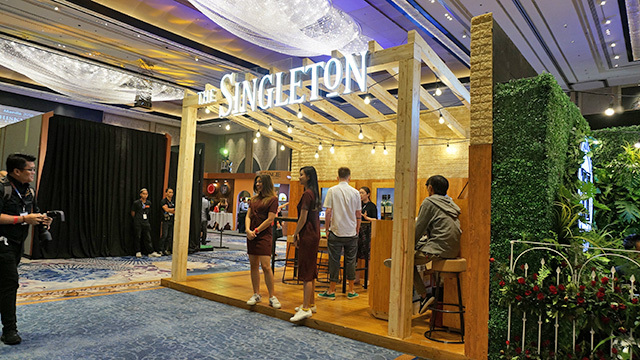 The Manila leg, held at Shangri-La at the Fort in Bonifacio Global City, Taguig, featured over 130 types of whisky and other spirits from all over the world with countless mixes and cocktail blends. 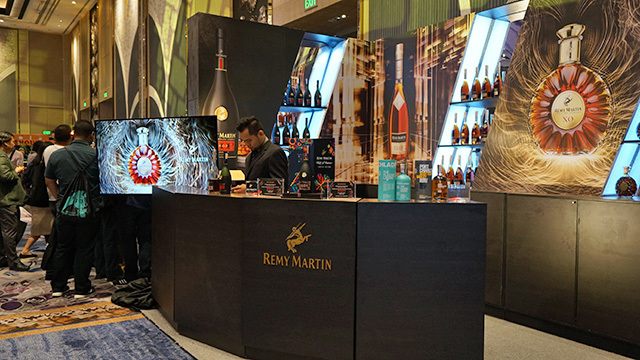 Some of the most popular beverage brands like Chivas Regal, Johnnie Walker and Hennessy were present and put up impressive booths for guests. Other lesser-known brands also made their mark offering samples of their distinct flavors. Each guest was given a special-edition glass, which they used throughout the event. To prevent guests from being too intoxicated, there were a number of water stations scattered throughout the venue. 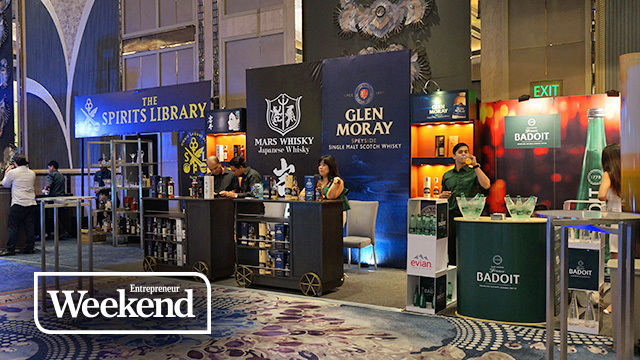 The sheer variety of whisky, scotch, and bourbon—and even vodka, gin and other spirits—available was a guaranteed conversation-starter, which is why on its third year in Manila, Whisky Live has also become a sought-after social and business networking event. Hamish Houliston, brand ambassador for Chivas Regal, said Whisky Live has become an ideal venue for business people, where host and client alike can be sure that to have at least one thing in common with every guest—a love for whisky. "A bit of whisky lets you settle and be a bit more casual, which is great when you're talking to potential clients or suppliers. It creates a less-intimidating, more friendly atmosphere," Houliston shared. While some might balk at the Php3,500 fee for a one-day pass (Php6,000 for two days) at Whisky Live, organizers said it’s actually more than worth it for the unlimited whisky-tasting and opportunity to meet new people. "My friend invited me and I just came for the free-flowing whisky,” said lawyer Kristina Sacho “But an hour in and I already regretted not bringing calling cards because I've met a couple of potential business partners and clients already. It’s easy to ease into a conversation after a few shots of whisky." But those who weren’t out to network and who went solely to get their whisky fix certainly weren’t disappointed. 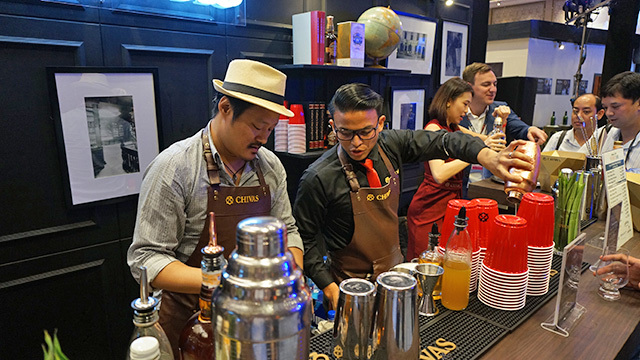 Whisky Live also featured other activities such as a bartending competition, whisky awards, and Master Classes, where 10 international whisky masters from different brands shared their knowledge and the history of their respective brand's whisky-making process. Many of the companies also offered either rare bottles for sale and or regular items at heavily discounted prices. Though some guests did have a little too much to drink and were a bit loud, there were no major incidents reported, and it was a controlled, orderly and fun event as it has been the previous two years.